An oil tank truck explosion took place in Kenya on one of the country's main highways, killing at least 42 people late on Saturday, Reuters reported citing a rescue worker at the scene. 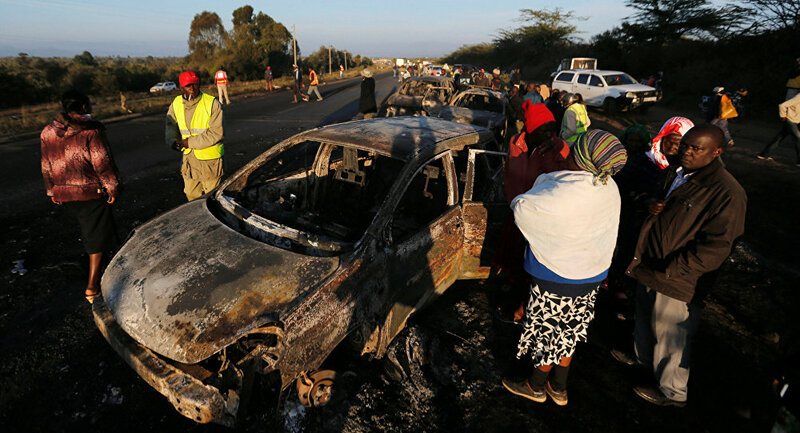 The truck exploded after it had crashed into several vehicles north of the central town of Naivasha, an official with the National Disaster Management Authority told Reuters. "More bodies are still trapped inside the burned vehicles," Red Cross volunteer Moha Maris told Reuters. Earlier reports said that the truck was carrying highly inflammable chemicals. The incident took place 80 km from Kenya's capital, Nairobi.